The natural hog bristles in these bruhes have flags (split ends) that hold more oil color and give good control. Use them with either oils or acrylics. 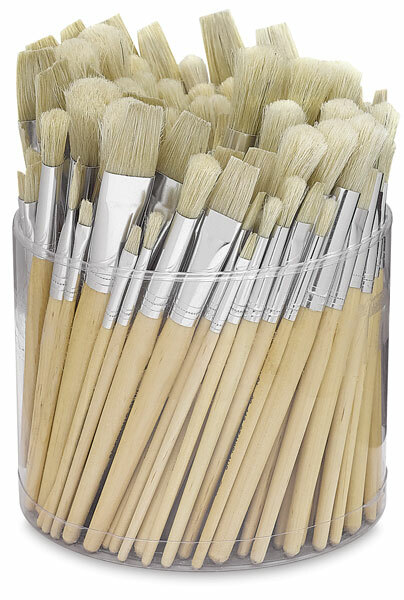 Each set contains 144 brushes, an outstanding classroom value! 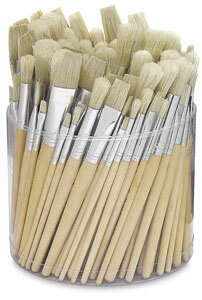 This set includes 144 assorted white bristle brushes, both flat and round.